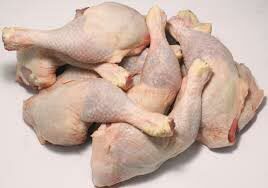 Frozen Chicken Legs that we export and supply are widely in demand by the clients. Procured from the renowned sources, our Frozen Chicken Legs are extracted from the disease-free chicken, which is further cleaned and processed. Special care has been taken before, during and after the freezing process to ensure that our Frozen Chicken Legs should remain free from contamination. Furthermore, we provide Frozen Chicken Legs in special packaging of drugstore or butcher wrap for intact freshness.